You wouldn’t change your vehicle’s brakes unless you had extensive training and experience, would you? Would you cut your family’s hair if you had never picked up a pair of scissors in your life? Would you tell your child to take the wheel on a trip to the grocery store if they had never been in the driver’s seat before? You get the picture: Some things are best left to the experts. Pressure washing is one such example. If conducted by a novice, you won’t just be left with a home that isn’t clean; you might be dealing with irreparable damage. DIY power cleaning equipment, in the hands of beginners, can prove to be more trouble than it’s worth. 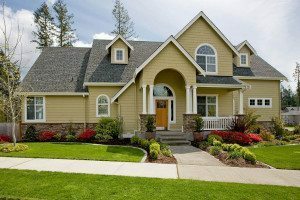 Without a knowledge of what pressure to apply, and how to apply it, siding, roofing, and other elements of the home can fall victim to damage. What’s more, it simply effective. A day’s worth of toil can result in a home that looks even worse than it did before the DIY attempt. And that is a valuable weekend afternoon wasted. 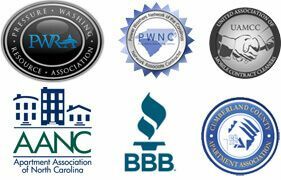 When it comes to effective power washing, Fayetteville homeowners can put their trust in the experts. Pressure Kleen is the region’s top choice, thanks to their exceptional results, professional results, and reliable service. Give your home a facelift today – All it takes is a quick phone call!